£50 deposit tobe paid to secure booking on top of the price, None returnable if cancelled. 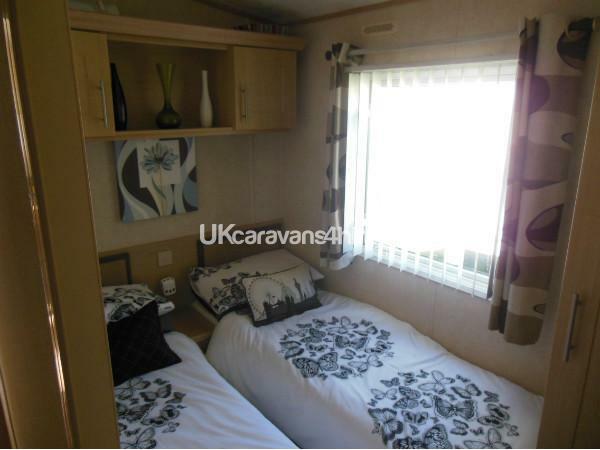 Full payment to be made 6 weeks before the date you arrive. 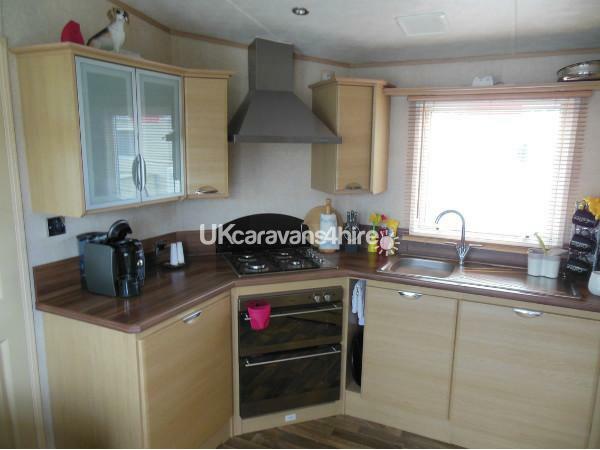 Your £50 will be returned providing there is no damage and caravnan is left clean and tidy ! 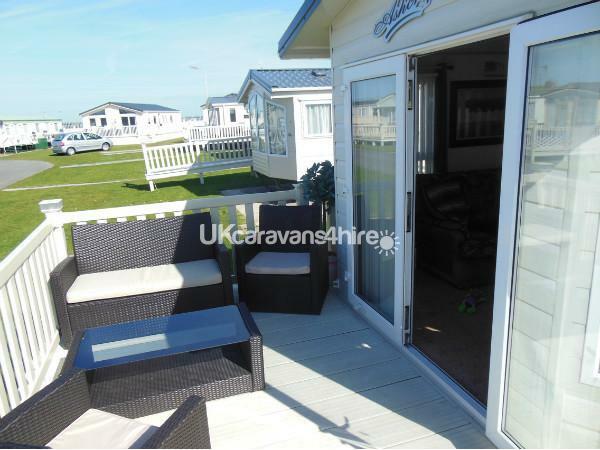 Our luxury modern caravan with stylish fixtures and fittings is situated on the quiet side of the caravan park close to the beach, It comprises of a large lounge with 48"TV and Electric fire.Patio doors lead onto the decking area with Rattan table & chairs for complete comfort. 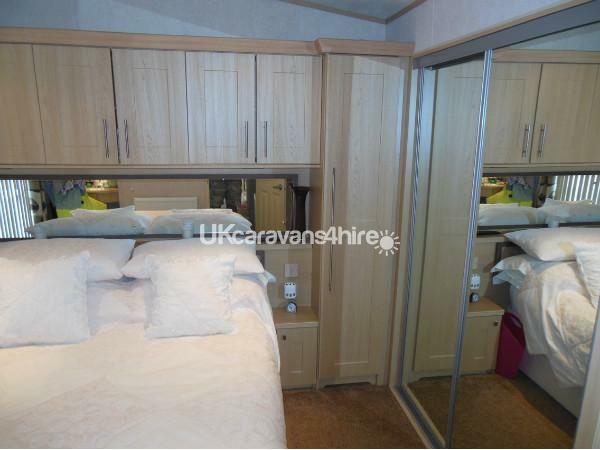 The side enterance leads you into a very large kitchen,diner with gas oven & hob and integrate fridge & freezer with all you need and more, The master bedroom has LCD TV and ensuite bathroom with spacious shower. The twin bedroom has LCD TV-DVD for the children. CLUB WITH FOOD AND SHOWS. CHILDREN'S PLAY AREA WITH BALL PARK INSIDE.